Create a custom design wall decal using your own pictures, photos or sketch designs. High quality wall decals and stickers at great prices. Custom text stickers. Have you got a favourite phrase or quote? We can create wall art quotes just for you! Including personalized name designs too! 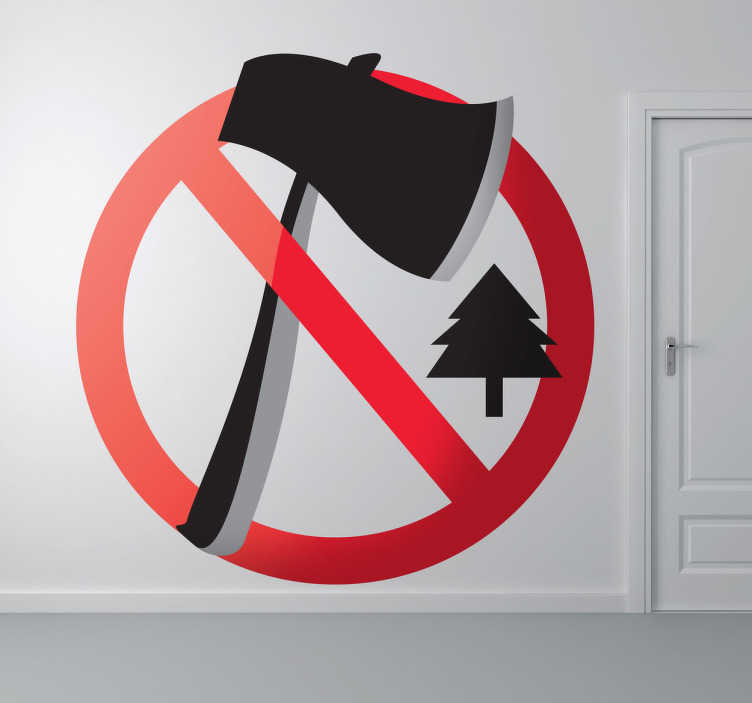 A fantastic decal illustrating a sign to protect forests. Brilliant design from our collection of forest wall stickers for those that love nature. If you want to show your support to save trees then you can use this magnificent design to decorate your home or any smooth surface you would like to decorate. This sign decal must be placed on a smooth surface. Available in various sizes and made from high quality vinyl. Easy to apply and remove. Get your custom stickers with your images or personal text using the exclusive services offered through our website.